Promotional Pricing: Does Brand Marketing Strategy Work With This Price Tactic? Does It Fit Your Brand Marketing Strategy? A promotional pricing strategy is effective but be careful not to overuse it. Develop pricing objectives that use price elasticity economics and that are a best-fit for your brand marketing strategy. Price strategies are of key importance to reaching your sales targets for your products or services. Make sure you understand the importance, and impact, of market forces when developing your pricing strategies. What Are Your Pricing Objectives? Promotional pricing is one of a number of pricing strategies you can choose from when developing your price strategy for your marketing mix plan. Understand your pricing objectives when you build your plan. For example, is price one of your key selling points or is value more important? Are you the high price, high value supplier or the low price, low value supplier? Or are you somewhere in between (low price and high value)? Typically this pricing strategy is a short-term reduction (such as a promotion "on sale" or a bundled price (such as "two for one") in the product's price. Sometimes this strategy also refers to the introductory offer that businesses develop for trials of new products (smaller packaging or packaged with another product in the line, i.e. product line pricing). If the reduction or the bundled offer is seen to be of enough value, buyers will buy. But businesses need to be careful about such offers as buyers have learned that there is a pattern to these price reductions and offers; the outcome of your buyers' behaviors may be to wait till the low sale price or the special promotional bundle, rather than buying at full price - and that can have a significantly negative impact on profitability. If you are selling what's known in marketing jargon as "mega brands", you need to be particularly careful about whether or not promotional pricing fits your brand marketing strategy. For example, promotional pricing of luxury mega brands may devalue the brand because customers may equate the low price with a low value. To select the right price strategy, you also need to have a good understanding of price elasticity economics. Will customers buy your product or service with little regard for price (in other words the demand is not constrained by pricing - popular in-demand products will still sell at high prices)? Elasticity economics measure and analyze the impact (or sensitivity) of price changes (up or down) on quantity demanded. What it is: This is typically a buy one, get one free approach to have customers try the product (or service) or to have customers accept the value of two products for the price of one. 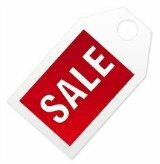 Also in this category of pricing is the 'going out of business' sale price, the 'clearing inventory' sale price, and the 'huge sale', the 'end of season sale', the 'year end sale' and 'everything's marked down' sale price, and so on. Why and When to use it: This has become an over-used strategy and customers have become quite cynical about this approach. To be effective you must have a very convincing value story. You can use this strategy effectively in the introductory stage of a product's life-cycle or conversely use it in the declining stage (match the declining product with an introductory product). Setting your price for your product is an important marketing decision that can have a big positive or negative impact on your sales plan and on your profitability. Therefore you need to make that decision with care and after you've engaged in some competitive intelligence, market research and market testing. Once you've determined the right strategy to use - whether it's a promotion price program or another one of the pricing strategies presented on this site (e.g. loss leader strategy, market penetration pricing, price skimming, psychological pricing, value pricing, and more) - make sure that you continually check the pricing through the product's life cycle phases to ensure that you optimize your price setting decisions, achieve your pricing objectives, and enable successful business growth. Return from Promotional Pricing to More For Small Business Home Page. Return to Pricing Strategy for a number of other pricing techniques to review. Find more alternatives to standard Pricing Methods. For more on pricing policies, consider additional Pricing Strategies. How does price fit into your Marketing Mix Plan?